Ilkley at Ilkley Town Centre01943 602319work TownThe dramatic surroundings of Ilkley Moor, with its panoramic views of the surrounding countryside provide a wonderful setting for the elegant spa town of Ilkley; recently named a Walkers are Welcome town. The dramatic surroundings of Ilkley Moor, with its panoramic views of the surrounding countryside provide a wonderful setting for the elegant spa town of Ilkley; recently named a Walkers are Welcome town. As well as fantastic walking Ilkley has excellent shops, restaurants and visitor attractions. 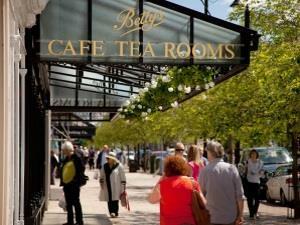 Make sure you visit Bettys Cafe and Tearooms and the Manor House Museum.